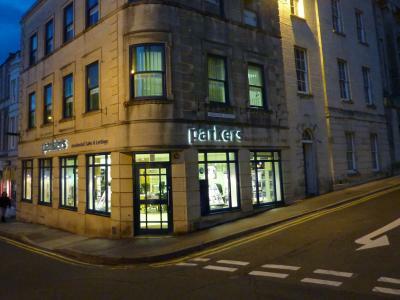 Owned and run under a franchise licence since 1992, Parkers Estate and Letting Agents are the market leaders specialising in the sale and rental of residential property in Stroud and the surrounding villages and towns. Our area of expertise include valuations for both selling and letting, and with an excellent selection of homes of all types available at any one time, we are the agent of choice for a loyal and established client base in Stroud. We pride ourselves on our professional and tactful approach to negotiations when in communication with vendors, buyers, landlords and tenants. I do a lot of work professionally with Parkers sales and cannot fault them at all. The team are highly knowledgeable, exceptionally helpful and an absolute pleasure to work with. Everything/everyone is kept completely up to date and the speed of their responses is outstanding. I'd highly recommend them to anyone looking for a professional and approachable Estate Agency. We were recently looking to rent property in the Stroud areas but because we have a dog were having a lot of problems. We spoke to a Gayle Edwards in the Stroud office and she was very helpful. She talked us through our different options and what things to look out for. She went out of her way to accommodate us and when we do make a decision about a property we will contact her to finalise things. Couldn't recommend her and the office enough. Staff always helpful and proactive. Would be happy to recommend them. Second time i have used Parkers in Stroud, and yet again, I found the team to be highly professional, really helpful and supportive, - ultimately they make the whole process seem very, very easy. Highly recommended. Great team - nothing was too much trouble for any of them. Always answered calls and emails swiftly and politely. Highly recommend. I have owned and run one of the most successful UK property franchises since 1993. In competing against offices in major towns and cities, the Stroud office has constantly been one of the best performing offices under the franchise. 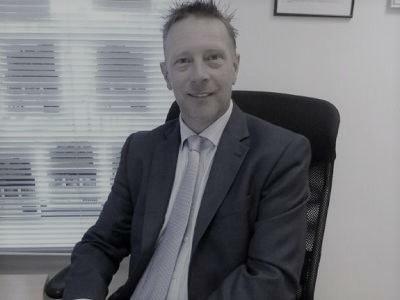 A combination of hard work and business acumen, has meant that I have established a very healthy lettings department many years before rival agencies realised that lettings should form part of any high street estate agency business. With hundreds of property under management, Parkers always has a great choice of homes to rent available at any one time. I first made a name for myself as the top performing sales negotiator for one of England's major chain of agents and have taken on this knowledge to establish the Stroud office of Parkers as one of the towns market leaders in residential sales. I see a bright future for well run, traditional high street agencies, that offer top quality service to all their clients and with well stocked sales and lettings departments.